Recently I received a couple of items from Papyrus. 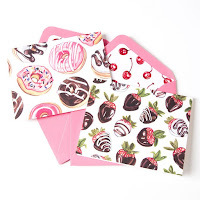 They are a paper goods shop over the internet that carries items like stationary, cards, towels, aprons and wrapping paper. You can also get custom printed work from this facility. I received note cards and a tea towel to test out. Also, June 2, 2017 was National Donut Day. I did not get to celebrate right away but I am taking the time here to give you some donut related items that would look adorable in your home. Tasty treats decorate this fun tea towel along with Herbie the bear and his friends. It's sure to brighten up your kitchen.It's perfect for any kitchen that is blue, has blue accents, has yellow accents, or pink accents. The towel is very large, 24" X 30". That is 2 feet by 2 feet 6 inches. It is cotton, so it pick up water quite easily and dries dishes and hands fast. Make sure to wash often to keep clean. 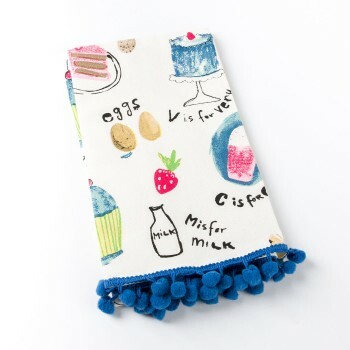 This tea towel is quite cute, with cute little characters on it. It doesn't necessarily match my kitchen 100% but that's okay, it has enough to match enough of my kitchen that I can deal with it for a tea towel. I am not obsessive compulsive about having everything match in my kitchen. I also love how big it is. It's so big that it is using up all of my tea towel time when I need it. 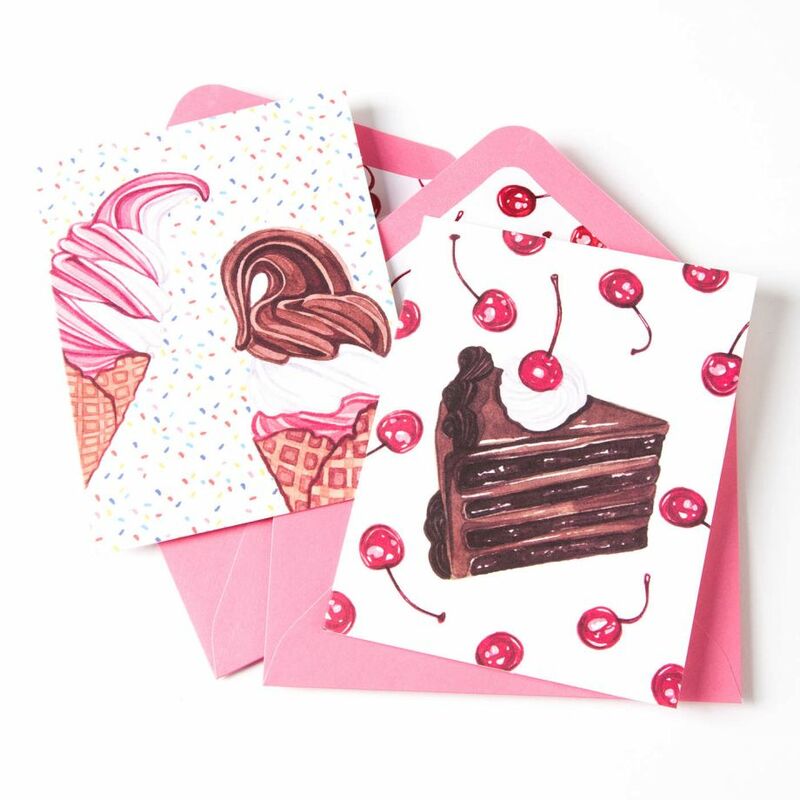 These cards are perfect for a way to say hello, thank you, as an invitation to a icecream party, or just for a note to say I'm thinking of you. 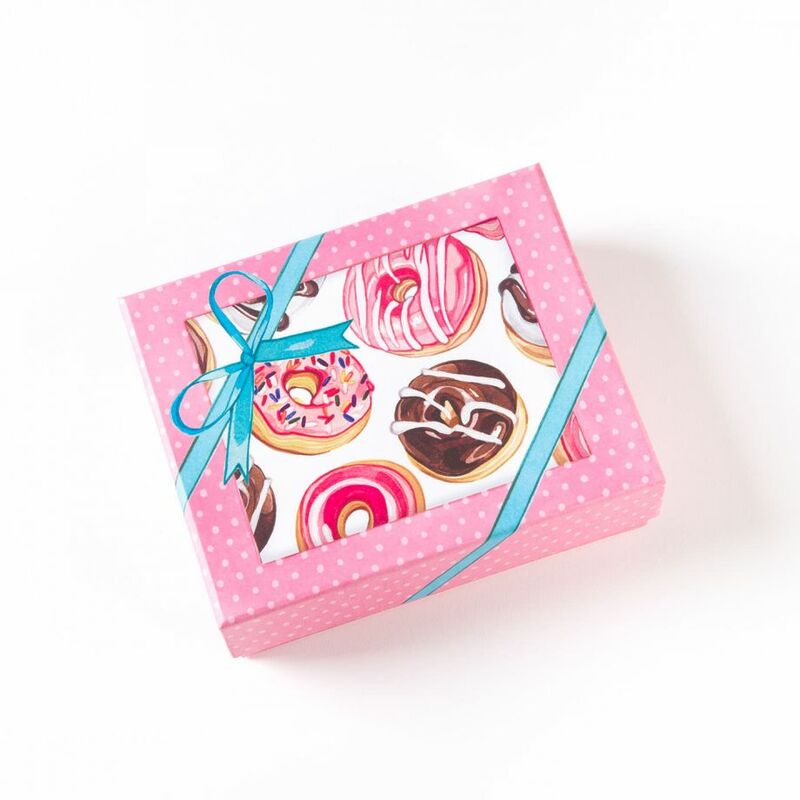 The front is full of life with either a donut, chocolate covered strawberries, a cake with cherries or icecream. There are five cards of each kind. 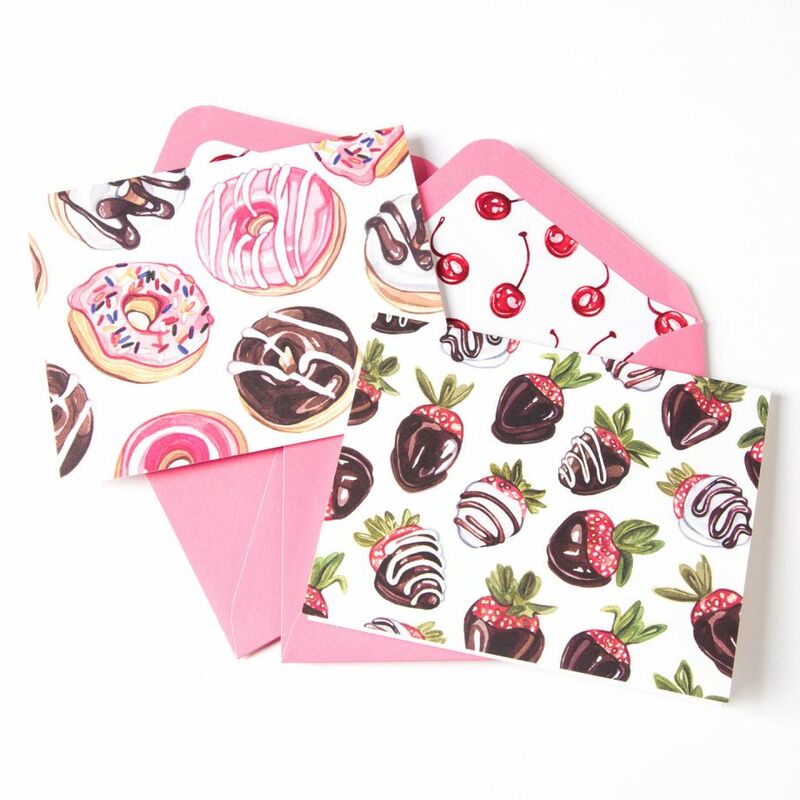 And they come with 20 pink cherry print envelopes and some Papyrus stickers. The size of them are 3 3/4in. x4 3/4 in (95mm X 121mm. All of this comes in a keepsake box for you to keep them away dust free. I see using them to write notes to my friends and to keep them to write thank you notes. You can never have enough thank you notes lying around. It is good to keep a good set of notes, blank, lying around the house so that you can have them in case you need to write a thank you or a short hello. These items come from Papyrus Online. You can shop at more than 200 PAPYRUS locations in the US and Canada as well as online at www.papyrusonline.com. The online place to get cards and paper. Like Papyrus on Facebook:https://www.facebook.com/papyrus; Follow Papyrus on Twitter:@Papyrus_Online; Follow Papyrus on Pinterest:https://www.pinterest.com/papyrusretail/; Follow Papyrus on Instagram:https://www.instagram.com/papyrus/ and Follow on Google+:https://plus.google.com/+papyrusretail.